Frederick, Maryland, December 17, 2018 – Douglas (Doug) A. Mishkin of Algren Associates became part of an elite group honored with the Paul Goodman award by Legal & General America. Mishkin is a graduate of Franklin & Marshall College in Pennsylvania, where he earned a bachelor’s degree in business management. Mishkin is a third generation insurance professional who chose a different career path from his father and grandfather, who together, built one of the nation’s largest multiline and benefits firms. Mishkin started his career as an agent with MassMutual Financial Group and The Guardian Life Insurance Company. In 1993, he moved to the independent brokerage industry by joining a major brokerage general agent in Manhattan as their brokerage manager. Mishkin was offered the opportunity to join Algren Associates in 1997 and, in 2001, was named president of the agency. In 2006, the title of CEO was added when Algren’s founder retired. Mishkin served as the 2008 chairman of NAILBA, and previously served as a board member for seven years and as a chair of NAILBA’s membership committee. In 2009, Mishkin received the Stephen A. Kramer Humanitarian Award from UJA-Federation of New York. He is also an active member of NAIFA, LifeMark Partners, SubCenters (for which he currently serves on the Board of Directors), MDRT, AALU, and TYGERS. Mishkin is a member of MDRT’s “Top of the Table”, an exclusive forum for the world’s most successful life insurance and financial service professionals. He is also a former Director of the Life & Health Insurance Foundation for Education (LIFE), a non-profit organization dedicated to helping consumers make smart insurance decisions to safeguard their families’ financial future. 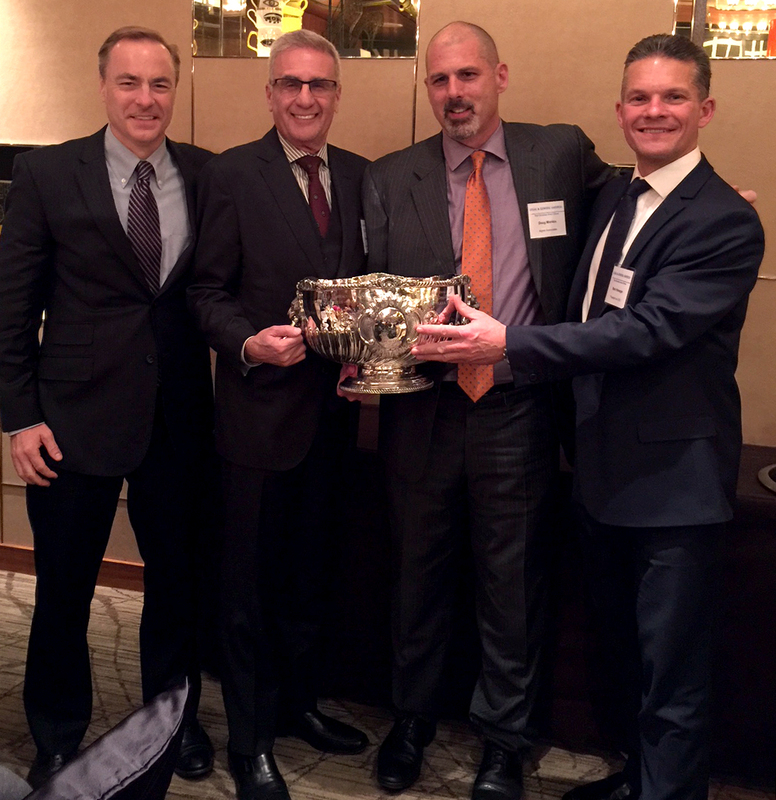 Doug Mishkin accepted the award from Mark Holweger, President and CEO of Legal & General America's insurance division and Patrick Bowen, SVP Distribution. Mishkin currently resides in Monmouth Beach, NJ with his wife, Nora-Jean, and sons, Aidan and Gavin.